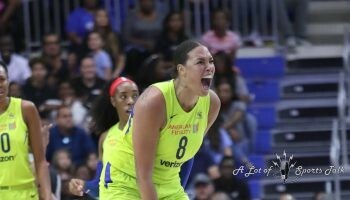 New York Liberty head coach Bill Laimbeer was late to the postgame press conference, and the figurative smoke that was coming out of his ears, face tinged with red, was all that was needed to understand his tardiness. His team started the season with a victory, but started in how they win games in 2017 in the worst way possible. 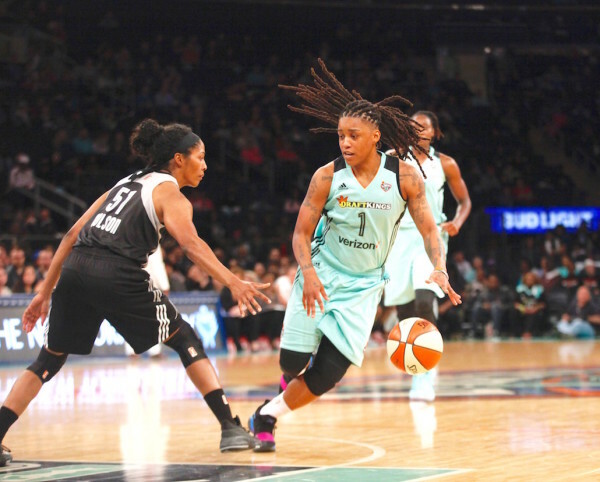 Tina Charles led the Liberty with 12 points as New York recorded a season-opening 73-64 victory over the San Antonio Stars in an uneven performance at Madison Square Garden. Starting any season with a win, no matter how it comes, is normally welcome news. Laimbeer welcomed his team in the locker room after the game with a verbal hiding. To hear Laimbeer speak was to think the Liberty had their lunch handed to them and not a near wire-to-wire victory. 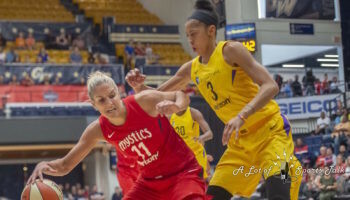 New York was in control from start to finish against a Stars side without their projected starting backcourt, Moriah Jefferson (knee) and 2017 first overall draft pick Kelsey Plum (ankle), as Tina Charles paced the team with 12 points, one of five Liberty players to score in double figures. New York, after racing out to a 21-13 first-quarter lead, then forced seven Stars turnovers in the second quarter in taking a 37-28 lead into intermission. Far from aesthetically pleasing, yes, but New York was in cruise control. That proved to be the Liberty’s undoing, according to Laimbeer, as his plans of letting the starters rest more in the second half were thrown into the incinerator as the Stars stayed within striking distance. 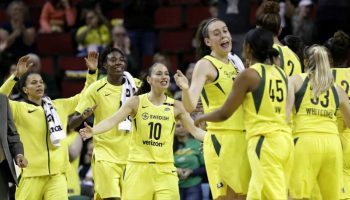 It’s obvious that, after the last two seasons of being one of the best teams in the WNBA but only seeing playoff heartbreak at the end of those seasons, the sense of urgency is already at a critical mass. 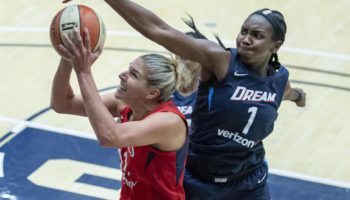 Or, at least that’s where Laimbeer wants the Liberty to be – even if they are just shaking off the rust and getting acclimated to each other as teammates. 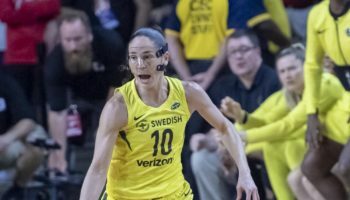 The talk about the Liberty being one of the favorites to win the WNBA championship and finally bringing a championship to New York for the first time in the 21-year history of the league is just that for now: talk. Laimbeer also had a message about that, too. Laimbeer, never one to not be frank, could have imagined what this game would have looked like if a different team was out on the court this afternoon. Well, guess who the Liberty play in their next game on Thursday? We’ll know whether the stern message was received by New York when the Lynx come to town on Thursday evening.